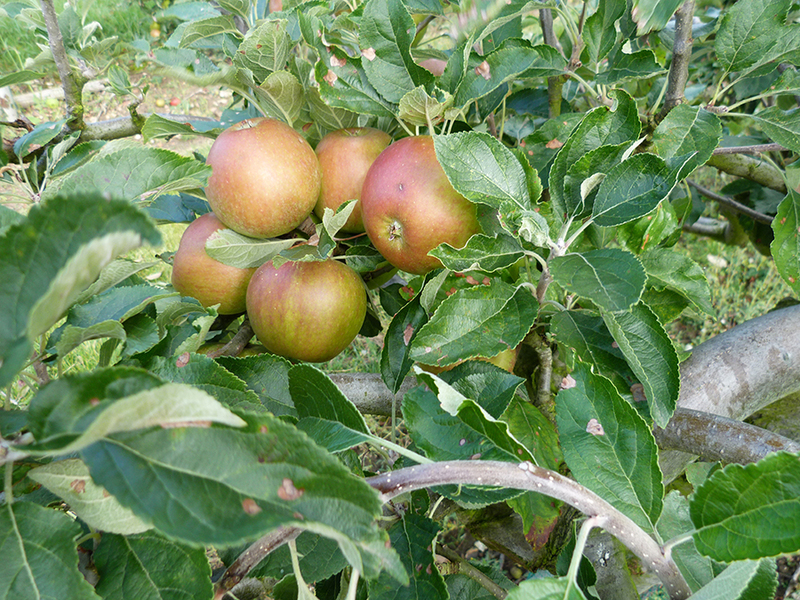 1) Finish picking the late maturing apple and pear varieties. 2) Only the best and undamaged fruits will store well. Juice the remainder. 3) The best storage regime is fruit in single layer trays and kept in the coolest condition, in the dark. Inspect the fruit every 10 days and remove fruits that are going off. 4) Cut out and treat any tree canker. Garden centres stock sealing compounds such as Heal and Seal and Arbrex. 5) Remove all bad and dropped fruit away from the orchard area. If not, it will affect next year’s crop, due to spores growing on rotten fruits and fallen leaves; scab infections. 6) Stock up on John Innes compost number 3, ready for planting newly-ordered trees. 8) Apply grease bands if winter moth caterpillars have been a problem. 9) Mow the grass once more between the rows. 10) Remove all weeds and hiding places near the trunks of the trees to avoid mice damage to the bark of the trees.